The Marlboro Police Department offers pre-arranged tours of our police headquarters to youth groups such as the Boy Scouts, Girl Scouts, etc. It includes a walk through of certain areas of the building such as the jail cells, (as long as it is safe) Patrol Roll Call room, Detective Bureau, Records Bureau, Traffic Bureau and a demonstration of a current police car that is used by our patrol officers. 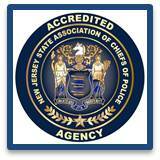 If you would like to arrange for a tour, please contact Officer Frank Perrini at (732) 536-0100 ext. 1103 or email Ptlm. Frank Perrini.